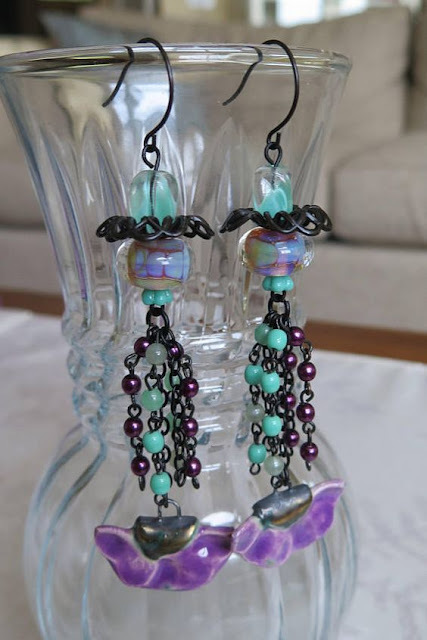 Michelle of McEnroe moments is back at it again with some multi-layered earrings in deep gemstone shades of amethyst, aqua and plum. I like the use of the dark black findings that bring in a depth just like in our painting inspiration by Odilon Redon. These look like earrings that the stately woman in the painting might wear! 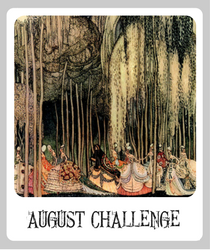 Still lots of time to create for this month's challenge, so let's see what inspires YOU! Deadline June 28th to get your pictures posted to the Pinterest boards for the creation of the Monthly Challenge Recap post for June 30th. Brilliant! Beautiful beads and design!